We are pleased to introduce Dr. Nathan E. Sneddon, MD, double board certified and fellowship trained in anesthesiology and interventional pain medicine. Dr. Sneddon is passionate about helping those who come under his care and successfully managing their pain. His years of surgical training supplement his specialized pain management training and provide him a unique perspective when treating patients and performing interventional procedures. 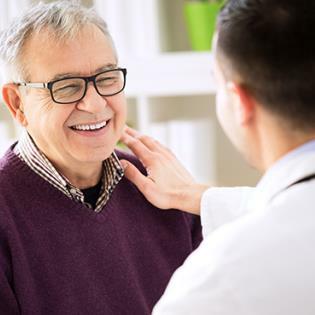 He views his patients as a whole and therefore cares for them in a comprehensive manner using interventional techniques, medications, physical therapy, and behavioral medicine when or if appropriate. In addition, he specializes in using the most advanced minimally invasive techniques for pain management, with a particular interest in spinal cord stimulation and kyphoplasty (vertebral augmentation). He recommends spinal cord stimulation for patients who have chronic back or leg pain, despite having had back surgery in the past. Spinal cord stimulation is also highly effective for people who want to avoid spine surgery. Dr. Sneddon recommends kyphoplasty (vertebral augmentation) for patients who suffer from vertebral compression fracture related pain. In a recent study, kyphoplasty has been shown to not only reduce pain but also reduce mortality rates in patients with painful compression fractures. Dr. Sneddon also specializes in chronic migraine management, including Botox injections for migraine prevention. Dr. Sneddon earned his Bachelor of Science in Exercise Science, with minors in psychology and zoology, from Brigham Young University in Provo, Utah. He completed his Doctor of Medicine at the University of Nebraska Medical Center in Omaha, Nebraska. His internship in general surgery was at The University of Texas Health Sciences Center in San Antonio, Texas, and his orthopedic surgery and anesthesiology residencies were at University of Nebraska Medical Center. He then completed his fellowship in interventional pain medicine at the Comprehensive Pain Center of Oregon Health & Science University in Portland, Oregon. Dr. Sneddon is married with four children who keep him extremely busy. In his spare time, he enjoys trail running, hiking, snow skiing, backpacking, and keeping up with Nebraska Cornhusker football.